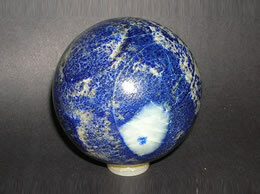 Lapis Lazuli has been an extremely popular stone since the beginning of time. 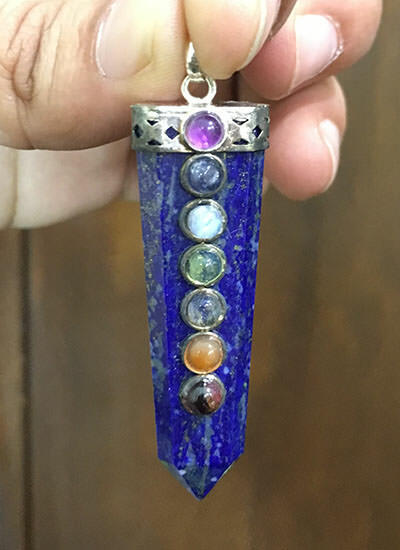 This gorgeous 7chakra Lapis lazuli pendants with gemstone can be easily worn as a jewelry. 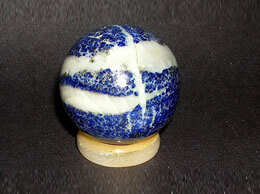 The lapis lazuli stone used to carve this pendant is of a standard quality. 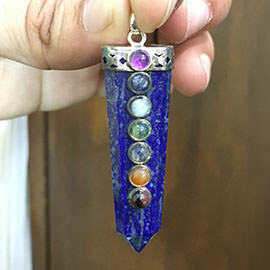 The pendant has gemstone embedded corresponding to the seven chakras. 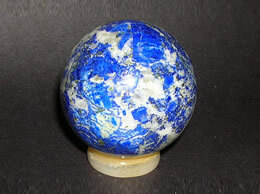 The excellent polish done on the lapis lazuli stone gives it a vibrant blue color, this lapis lazuli stone is presented to you after careful research for assuring that you get the best. 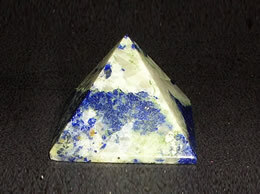 Lapis Lazuli has been highly regarded for its protective qualities and has been widely used as an amulet. Besides its protective qualities, it is well-known for its ability to increase power, self-mastery, wisdom, and creativity. It is a great stone for artists, students, and those seeking to take control of their lives.